Psychology is the bedrock of any business. It signals how you should design, present, modify; and improve your business along the way. Yes; thinking that human psychology isn’t like it was before can seem rational. But, the essence of our human never changes. Meaning that the concepts that worked centuries ago would also work in this day and age. Such psychological principles can improve your content marketing game. Understanding consumer psychology is crucial to maximizing sales. This understanding helps you influence your prospects, thereby lands you more sales and ca$h. Isn’t it a shady approach to manipulate people into buying from you? The answer? It depends. It really does. If your business involves no fake promises and lies; and provides immense value to your audience, then influencing people to buy more from you (thereby, getting more value) is nothing to feel bad about. That said, if your business is immoral from the ground up, then such influences will feed your unethical business, thereby, it IS unethical. Imagine a concert is coming up. All your favorite rock stars will gather up. And it seems like the perfect plan for your weekend. Unfortunately, despite a lot of scouring through the Internet & running the errands, you failed to manage a ticket. Next morning, one of your friends gives you a ticket knowing your extreme interest. Although s/he wants nothing from you in return, you still feel the inclination of returning the favor, right? That’s social psychology. This applies to your business as well. When you offer value to your audience for free, they tend to give back too. Such value can be given through blog posts, eBooks, email courses, and in many more forms. And when you offer valuable content to your audience, you build a connection. And when you provide such value on a regular basis, your bond continues to grow stronger and stronger. And this connection is what converts prospects into open-wallet buyers. Take Neil Patel for example. Neil has been focusing solely on providing value over the years. Even some time ago, Neil was publishing ginormous guides on Neilpatel.com and Quicksprout.com for serving his audience. While he still does bang out written content, he has shifted his focus more towards YouTube videos because he believes it to be the future. Unlike the money-hungry marketers out there, Neil doesn’t use Adsense to monetize his channel because he believes it hurts the user experience. All this goes to show how much Neil cares and is dedicated to better the life of his audience. Seeing Neil’s care and dedication, you can rest assured if Neil ever wants to sell a book, course, or even tickets for an event, they will sell out the moment they hit the shelves. Humans are social beings. And we are genetically designed to follow the path that the majority of the people take. This is also known as the ‘me too affect’. Again. Why do we tend to follow the thing most people select? Because of the conformity behind it. We believe the majority of people can’t go wrong. Even if makes no sense, we continue to follow the herd with complete blindness, according to this study. Your potential customers are humans too. So adding social proof can help you convince them as well. You can utilize several types of social proofs. Testimonials, celebrity endorsement, brand endorsement, user reviews, ratings, social media shares, followers, are a few examples. According to Neil, when your Amazon product reaches 400 – 500 strong reviews, making $70,000 – $150,000 per month in revenue becomes easier. Bombarding your audience with positive social proof is a great way to supercharge your content strategy. Go do that. We, humans, are driven by curiosity. And missing out on important stuff is amongst our biggest of fears. And this isn’t just a theory or common sense. 69% of Millennials are concerned about missing out on beautiful social events. Also, some people are obsessed with watching the news. Simply because they don’t want to miss out on that golden nugget of insight. You can use this powerful emotion to fuel your business. How? The FOMO (fear of missing out) is a huge marketing concept. If you are interested to learn about it in detail, I encourage you to check out this post by Sharon, where she went above and beyond to explain and offer actionable tips on the topic. 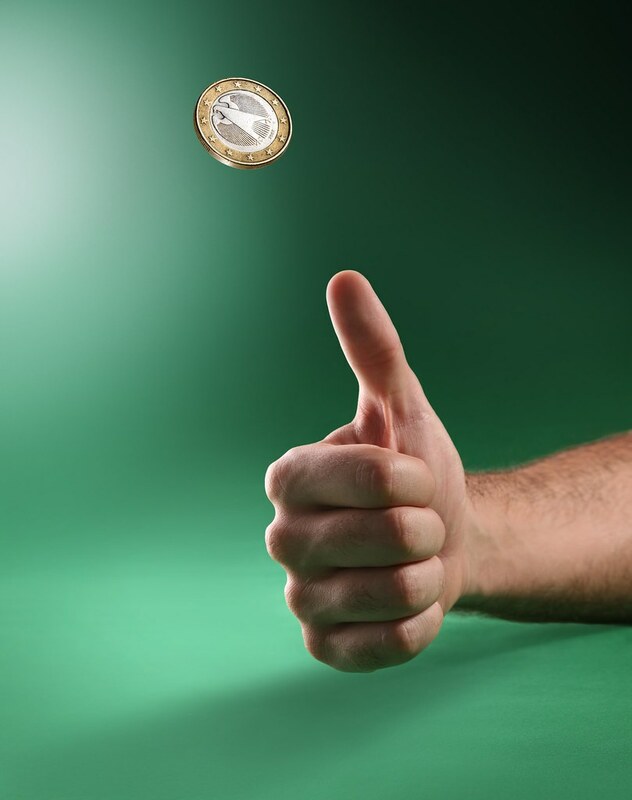 Imagine that a friend offers you a coin flip challenge. If it lands heads, you get $50; if tails, you pay $50. Would you gladly accept that offer? While you might be okay with that, most of us won’t be. But if the winning prize was 2x the loss, we could be talking. Surprisingly enough, the risk of losing is far more intense compared to the possibility of gaining. In fact, we are programmed to avoid losses. Be it time, money, or both. Just the thought of ‘loss’ is good enough to squeeze out reactions from you big time. So it’s imperative that you craft your content carefully. While it’s an absolute must to include the benefits, transitioning into what losses they are avoiding is also vital since the feeling of loss triggers people. Addressing these gains and losses requires you to research your audience first. Roll up your sleeves and get digging on what makes them smile and what gives them bed-wetting nightmares. Offering too many options is the perfect recipe for confusing people, making them take less action, and being less satisfied after taking that action. Don’t get me wrong. Having the freedom to choose is important, especially when you are asking for money in exchange. However, if you can help them narrow down their decision, it often results in more action right away and even later on. We are rummaging through books, blogs, and any sort of insights to evidence what we stated and believe in; while avoiding evidence that goes against us. It’s called confirmation bias. This bias runs so strong that conflicting insight falls on deaf ears, regardless of how logical it may be. Peter Cathcart Wason did some experiments known as Wason’s rule discovery task, where they discovered that people have a strong tendency of seeking information that confirms their existing beliefs. Luckily, you can use this psychology to power up your business. Go ahead and create content around the positive sides of your business your audience already admires. It’s like hitting the refresh button; you re-install the value you’re offering. Neil himself leveraged this tactic when you talked about how he spends $30,000 after content & offers it for free. Further, trying to understand the confirmation bias inside your audience can help you carve out more impactful content. As the name suggests, the gap between 2 pieces of information is what we call the information gap. Our brains crave to get ahold of such insights, and the only way to satiate this gap is getting that information. Ever had an amazing book or TV show that you couldn’t stop going through? Congrats if you answered yes. You‘ve been through the power of the information gap. The best way to create information gaps is by crafting eye-popping titles. Followed by an attention-grabbing opening line. Another easy way to create such gaps is by asking more questions & slightly expanding on them. The lack of information drives your reader crazy & gets them more invested in your content. After you’ve given them the itch; flood them with all the information you have. This approach brings impressive conversions when done right. What mere exposure means is that, when you are given multiple options, you vouch for the one that you are familiar with. Just because you’re more familiar with the thing, you vouch for it without even knowing the entire story. Don’t you think there are coffee places with better drinks and environment than Starbucks out there? Starbucks has exposed themselves so much in the market that they’ve become synonymous with the word ‘coffee’. And because of such awareness, people keep choosing Starbucks above all others. A decade ago, such mere-exposure would require you to advertise on TV and radio channels, which translates into a TON of money required. However, a big budget is not necessary anymore. You can simply leverage social media to do the heavy lifting. Go ahead and tell people about your business pages. Go aggressive. Produce a ton of quality content. Share/tweet those quality content again and again. Keep providing value. Do ad boosts. All of this will make you more famous (and familiar, of course) which will turn them into paying customers later on. Rare things are usually valued, or at least thought to be more valuable in our society. And you can use this ‘rare’ effect on your products as well. We can such lines on Amazon’s website. This is a mix of scarcity & urgency and does a great job of converting people. Because let’s face it: nobody wants to stare at the ‘Out of stock’ board until the next supply arrives. The small popcorn is $5, the medium $10.50, and the large $11. If you’re like the majority out there, you’d fall for the large ($11). The 50c price difference makes the large popcorn irresistible. The medium one ($10.50) is serving as a decoy to justify the price, thereby, selling more of the large package. Apply this method when you price your offerings and your sales will shoot up. There you are. 10 social psychology for muscling up your content marketing strategy. Which one do you think is the most important one and why? Do you follow any of these principles when crafting your content/copy?